• "Death of a Cranky Philosopher," Jan. 25-28, HART Theatre in Hillsboro. • "Truth AND Dare," Jan. 26-27, Sellwood Playhouse. 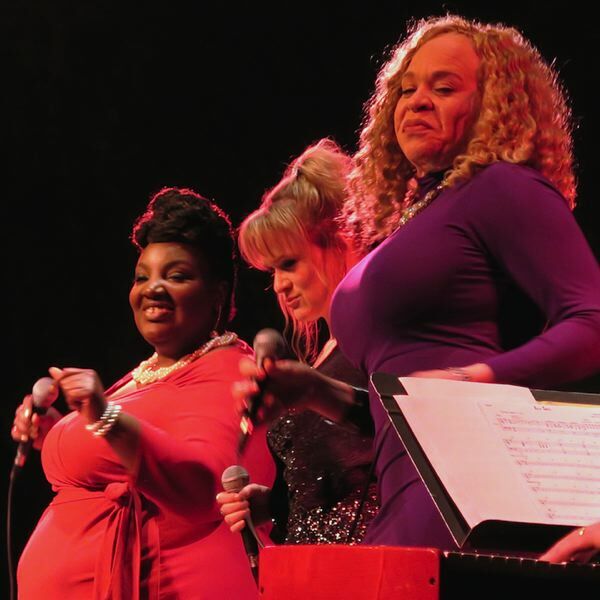 • "Just This One," with songs of the late Paul deLay, Jan. 27-28, Michelle's Piano Company. The famed hip-hop choreographer and his company return to Portland, thanks to White Bird Uncaged, with "Lifted!" It's based loosely on Charles Dickens' "Oliver Twist." With sexual assault and harassment in the news, Street Scenes does a timely take on the Shakespeare story for the first time in the Pacific Northwest. (With adult content, it's not recommended for children). Profile Theatre opens its 20th season with the work of Lisa Kron, a comedic drama featuring actor Allison Mickelson. The story: Kron and her girlfriend, Peg, go to an amusement park for a family vacation with her ailing 74-year-old father, as well as an excursion to Auschwitz, where his parents had been killed. The newest show in the series is themed "Sister Rolls the Dice!" The convent decides the nun, who has gambling experience running the church bingo game for 25 years, should do a Las Vegas night. Broadway Rose Theatre kicks off its 2018 season with a rollicking murder mystery, as an actor, between stealing turns at the piano, tries to solve the whodunit. Oregon Children's Theatre's Young Professionals Company puts on a show that gives a different perspective on the classic myth "Orpheus," telling the story of Eurydice and her journey to the underworld. It's written by Sarah Ruhl. The Minority Retort Comedy Showcase presents the Portland standup favorite and native, and other performers. It's "Mickey & Minnie's Doorway to Magic," featuring Disney characters on stage. Model train enthusiasts gather in Portland this week for the big show. There'll be more than 50 exhibitors and huge model train displays. The annual celebration of Japanese dance features Sahomi Tachibana and company, as they perform dances from the past several centuries — classical, folk and the like. Tachibana moved to Portland 27 years ago, and she continues working with her company on the dances of Japan. • The International Cat Show takes place Friday-Sunday, Jan. 26-28, at the Holiday Inn Portland Airport, 8439 N.E. Columbia Blvd. Info: www.internationalcatshowportland.com. • The Vintage Marketplace is an antiques and collectibles show at Portland Meadows, Saturday-Sunday, Jan. 27-28. Info: www.rainofglass.com.